This post details the PPC management software for agencies landscape as we see it in 2019. In fact, this is the exact market research we use here at Shape to evaluate our software’s strengths and weaknesses against other PPC software tools. We’ve been building PPC management software for years and Shape currently tracks over $350 million in annual ad spend for PPC agencies across the globe. Based on conversations with customers and prospects, we’ve profiled the PPC management software platforms most often mentioned by the agencies we have interacted with. We've compiled information from sources around the web to help you research the best solution for your agency. Our hope is that you will feel much more equipped to handle the complicated decision of picking a solution for your agency. Let's be clear. We make PPC software. We don't think making PPC software eliminates us from offering valuable information about other solutions in the market. Before working on Shape, our team was analysts, managers, developers and designers at digital marketing agencies. We've made a living thinking about how people and technology intersect in the PPC world. If you want to learn more about who we are, head over the our about us page for details on our backgrounds in digital marketing. We do a lot of writing on our blog which is a great place to get a feel for how we approach building our PPC management software. In our view, management software is different from reporting software. We anticipate the biggest issue people will have with this list not including popular third party reporting tools like SuperMetrics, Report Garden, NinjaCat and Swydo or reporting tools built by the ad networks themselves like Google Analytics or Data Studio. We believe there is great value in reporting and that you can to some super important ‘management’ tasks with those tools. We know many of our customers use Shape AND one of the reporting tools mentioned. We think the teams working on the reporting solutions mentioned are doing valuable work. But in our view, ‘management software’, allows marketers to be able to push changes back to the ad networks directly from the UI. These tools do a great job of reporting on the data flowing out of the ad networks. Where they fall short is being able to automate changes or many tasks needed to run an agency because they only report on data. Marketers only using these reporting platforms still have to login to each ad network to actually make edits to campaigns. PPC management software like the solutions profiled in this post have two-way connections with ad networks. This allows a wider array of critical tasks to be automated by professionals in agency settings. A reporting platform is not able to take this action on behalf of the user. To us, pushing changes to the ad networks is an ability that distinguishes PPC management software from PPC reporting software. Okay, so like we said. We make PPC management software. We did our best to paint the PPC software landscape from our point of view. There may be great PPC management software we don't know about because it hasn't come up in conversations we've had consitently. But, the PPC software world is still pretty small despite what you might think or read. If a tool was developing traction with a lot of agencies we would have heard about it by now. Headquarters: Whole team lives and works in Bend, Oregon. Quick Backstory: Shape's cofounders, a mix of marketers, designers and developers, met while working at a digital marketing agency together. Shape was developed as a concept to solve budgeting problems they experienced first hand in the industry as PPC marketers. Active blog? Yes, the team routinely contributes new content to our blog. Topics range from podcast recaps, writing about PPC and product updates. Active on Social Media? We keep a close eye on Twitter and any @mentions. We’ve also been loving LinkedIn as a team for writing shorter posts and videos. Do we have a podcast? Yes. "Shape the Conversation" has interviews, dicussions about digital marketing and stories from building Shape. How we describe ourselves in 2019: PPC budget management Software that provides agencies with powerful tools to take control of PPC spend. Never worry about pacing or over/underspend again. Headquarters: Primary HQ is in Foster City, California but team members also work out of Denmark, India and China. Quick Backstory: Frederick Vallaeys is co-founder and CEO. He is an ex-googler and spent 10 years at the company working on ad products. Using his knowledge of the Google ecosystem and some impressive coding skills, Frederick and his team have built a great suite of tools for PPCers. The company is bootstrapped and hasn’t raised any major venture funding rounds. Active blog? Yes. Very active. Frederick is one of the most well-known voices in PPC. He is a regular contributor to their blog and active on the speaker circuit. Active on Social Media? Twitter is Optyzmr’s primary social media channel. The company account is very active as well as Vallaeys person account. Do they have a podcast? No. But, Vallaeys has been the guest on other podcasts and this episode of Search Engine Nerds shows Vallaeys at his best, talking about the role of AI and automation in Paid Search. How they describe themselves in 2019: PPC management made smarter. Headquarters: Most of the team lives and works in San francisco, California. Quick Backstory: AdStage was founded by Sahil Jain (CEO) and Jason Wu (CTO). While working inside of big companies they saw how digital marketing was changing. Measuring success was getting harder not easier. The initial version of Adstage were focused on consolidating data from multiple sources into one place and being a great place to quickly build a lot of ads. They’ve raised multiple rounds of venture funding over the years totaling more than $15 million. Active blog? Yes. Very active. Adstage has had a number of prolific writers for their blog over the years. Topics range from PPC strategy, benchmarking reports and podcast recaps. Active on Social Media? Yes. Very active on Twitter and LinkedIn. Do they have a podcast? Yes, 'The PPC Show' podcast is run by the Adstage team and has interviews and advice from the who's who of PPC. How they describe themselves in 2019: Powering paid marketers through closed-loop reporting and automation software for paid media campaigns. Quick Backstory: Acquisio was acquired by Web.com in 2017. They continue to operate in the same capacity as they did before the acquisition. There is a great post on their blog from 2014 that takes a look back at Acquisio's founding story. Marc Poirer, long-term CEO and his co-founders developed Acquisio to help solve the reporting problems they had managing clients themselves. “We started as an agency, so we get it, we understand the issues and we have the guts and the brains to solve those issues,” says Marc in the post. Acquisio now offers reporting as well as optimization tools to their customers. Active blog? Yes. The Acquisio team cranks out a lot of PPC related content on their blog. Active on Social Media? Yes. They crank out a lot of digital marketing tweets from the corporate Twitter account. Do they have a podcast? No. But we did find this podcast interveiw with Marc Poirer that's a fun listen and goes into the Acquisio origin story. How they describe themselves in 2019: Acquisio is a performance media solution that enables digital marketers to optimize their search campaigns and report on social, mobile and display initiatives. Quick Backstory: Adalysis is spearheaded by PPC legend Brad Geddes. We love this post from Brad describing his 20 years in PPC and how that led to founding Adalysis. The software is most known for its ad testing abilities but offers a wide range of tools for PPCers. Active blog? Yes. Powered by Geddes' prolofic writing their blog constantly produces great PPC focused content. Active on Social Media? The adalysis social media presence is Geddes' personal Twitter account. He responds to @mentions and links to PPC articles. Do they have a podcast? No. But searching "brad geddes podcast" will bring up a bunch of episodes through the years of Geddes discussing PPC marketing. How they describe themselves in 2019: PPC Recommendations and Tools to Achieve Your Goals Faster. Quick Backstory: Kenshoo was co-founded by Yoav Izhar-Prato, Nir Cohen, and Alon Sheafer. Being one of the first players in the PPC software space led to huge growth for Kenshoo. The have a robust suite of reporting and optimization tools across search and social platforms. You will be paying a premium for kenshoo. This can make it a tougher fit for some agecnies on a tighter budget. Active blog? Yes. kenshoo has an active blog that goes deep on PPC advice and industry news. Active on Social Media? Yes. The Kenshoo coporate Twitter account is active and responds to @mentions. Do they have a podcast? No. How they describe themselves in 2019: Media that matters. Marketing that works. Quick Backstory: Marin was co-founded by Chris Lien, Wister Walcott, and Joseph Chang. Lien developed the inital concept and pitched it to Walcott and Chang in 2006. Marin is the only public company in the space trading under the symbol $MRIN. The Marin platform offers optimization and reporting solutions at premium prices. Active blog? Yes. Marin has an active blog with great studies on industry trends. Active on Social Media? Yes. The Marin coporate Twitter account is active and responds to @mentions. How they describe themselves in 2019: Enterprise marketing software to integrate, align, and amplify digital advertising spend across search, social, and eCommerce. On our podcast 'Shape the Conversation' we talk about digital marketing a lot. In this epsiode we dug into the history of our industry, the current players and the trends we have seen along the way. - The difference between PPC reporting software and management software from our persepctive. Nicole: And this is our podcast 'Shape the Conversation'. Jon: Nicole and I work here with great team at Shape.io in Bend Oregon. Nicole: So little about us. We were former marketers at an agency, we left our jobs to start Shape, which is a ppc budget management software. On this podcast we typically talk about anything from entrepreneurship to PPC specific topics. We're kind of all over the board. Jon: And this week is definitely PPC (pay per clip) digital marketing focus so if you've found our podcast by whatever means you might have come upon it. Today we're going to be really focused on digital marketing. If you're not a digital marketer for an advertising agency, I'm not going to lie, this probably isn't going to be the most riveting content for you. There is going to be some interesting stuff in terms of the background how Shape got started, if you're interested in our origin story at all, but today will really be focused on the market shapes in, PPC management software. Talking a little bit about our business, how we think about competition in our market, other companies that are in our market, and things to think about if you are market our agency and you're going out to maybe vet a solution like Shape Nicole and I have both been there, been those marketers looking through a lot of these solutions. Maybe we can help you increase the learning curve a little bit, speed it up, and get educated on the options that we see out there from really our conversations with prospects and customers. Jon: So let's maybe start by defining what we mean by pay per click (PPC) management software what it is and what it isn't least in our own definitions. So for me what PPC management software is, is it's mostly importantly not reporting software. So for me to pay per click management software one of the big things that I believe it has to do is have a two way sync with ad platforms. So like you have to be able to push changes back to Google from whatever third party system you have in my mind to be viewed as a management system. Nicole, do you agree? Jon: And it's definitely semantics a little bit but I think PPC management software can be reporting software but true reporting software I don't think can completely be management software. Jon: Report garden, super metrics, ninja cat all these ones that you know they're they're reporting platforms. I believe they're doing unbelievably valuable work and that the agencies that use them are using a valuable tool. It's not that I don't believe reporting's software is useful. I just think when you group in reporting software you think data studio, Google Analytics. It is a muddy muddy world out there in the reporting software space because of one major thing like I said these software's just have to worry about pulling down data. They just have to pull in data from these networks and tell you what happened if you go to a reporting software you're always going to be told what happened. Management Software is going to look at what's happening and make changes or automations around that. Ninja Cat, a lot of these tools they are limited. They can't help you automate a process or a change or something like that and that to me is a big distinction. Nicole: All right. We'll agree to disagree for now but. Jon: We're not saying either is wrong. Nicole: I agree on some your point. Jon: Yeah it's just that management software and, it's not an easy threshold across when you start pushing changes from your software back to Google. Like our software does or some of the other software as we'll talk about here today do you're going through a lot more vetting from Google. Any ad network you sync with, there's a higher level of API access you need. Nicole: The level of trying to pull that into one UI that isn't 20 million columns deep to actually allow people to make changes effectively to all of the platforms that you're supporting, that's another big piece of that one. Jon: Acquisio. A lot of these companies, they're pushing changes back into the ad network, some companies are moving even away from that in the space, Adstage is one that's looking to do like less automation in some spots and more like data reporting. But to me the reason the whole group of software even exist to me is kind of what you mentioned earlier like making sense of data coming from a lot of different places. Nicole: And then making decisions based off of that. Jon: And then making decisions. So I think a lot of the companies that I put us in the same category of that aren't the major- So the way I see it I see Marin and Kenshoo as these two really big companies, Marin's the only public company in the space, they're really focused on serving that high end of the advertising market in-house teams they have agency services but those two companies were started with Acquisio 10 to 15 years ago mid 2000s they were really the first to the game. I mean when we were working together as an agency 2009 to 2010, '11, '12, '13, other than words stream Marin, Kenshoo, Acquisio, who else was was in the market? Who else was playing? Nicole: Gahh, thank you. That was driving me nuts. Jon: They got rolled into DoubleClick and bought. So it's crazy to think about though 2010, if you are looking for a third party PPC software tool you had like four options, five options. Nicole: Well I think that the really interesting thing that you look at now is, right, yeah, these are the big guys the big players they're still supporting a lot of the functionality that they did they might have created you know awesome offshoots with their modules instead of trying to focus it on like one big bloated platform but you actually see that all of these companies now have come up trying to pull off a piece of what they were doing before. Jon: I think we fall into that category. Nicole: Absolutely. Yeah budget management reporting, although you don't consider that part of the- you know what I mean. But there's all these when you look at companies now that are starting you kind of have to target a niche and make it the best you can and then move and expand into services that are- or products or tools that are relevant or kind of parallel to what you're offering. But I rarely do I see now someone who comes full born and is like, "We're this tiny little startup and tech company but we're going to be the next Marin and we're going to go after everything that they do!" because it's just so difficult right now. Jon: And I'm not sure anybody really has. Probably Adstage has come the closest and they've raised 50 million dollars you know. And yet at the same time they've struggled with a lot of things the smaller companies in the space have kind of struggled with over the last few years and I think it is finding where you could innovate from what Kenshoo and Marin were doing. So if you look at the trajectory of those big companies started in the mid 2000s, you can imagine if you're one of only four companies doing something for five to ten year stretch in a space exploding like digital marketing was exploding through that time you're going to grow they grew up big then you had like 2000, '11, '12, '13, like the time period we're talking about when we were looking at these tools for an agency, they are still the only ones available. You had a lot of people like us, ad agencies, that thought, "Wait a minute. There's only four companies out here doing anything for agencies handling all this digital marketing spend?" and then you have this second wave of companies that pop up in 2011 to 13. I think us, Adalysis, Optimizer, Adstage are all founded between 2011 and 2013. And to me that's the second wave and there's been a little bit of a third wave I think over the last couple of years but even more niche. So there even like niche off of one of us in the second tier are doing. There's people even trying to bite off like smaller parts of that and start smaller companies. I think like you said there are no companies going big gungho building tools for agencies. But I see a lot of companies that have raised maybe a couple hundred thousand or something like that going out after just Facebook, or just Google, or just Bing. Nicole: I saw a company that was specifically devoted to spinning up single keyword ad groups that was like mind blowing to me because that's so specifically focused. Jon: It's happening in a lot of other agencies. It's called point solutions. So when you look at Salesforce they are one of the biggest companies in their CRM space the sales kind of focused space. You have all these platforms and companies that have spun up as point solutions off of Salesforce so they're like, "Salesforce does this pretty well but not great. Why don't we just solve that problem." For us, particularly it was Marin and Kenshoo, they're building good software they help you, but they don't really go as deep as you could on budget management. Nicole: And their exorbitant on pricing. Nicole: Two to five percent of ad spend typically. Nicole: And if you're managing five that's quite a bit. Jon: Now if you're an in-house team I can see that. But if you're an agency sometimes that gets tougher and tougher to justify. Nicole: So you look at that 2013 space, big players we could actually trial them at that point for like a month or two months. But now you look at these big massive solutions you get even trialed them anymore. You kind of have to you know go through the process of the sales vetting and you can see the platform but can't see your actual data in there versus now all these little guys, or you know smaller more niche products, I don't want to say little guys. Jon: Calling us the little guys? Nicole: Some of them are fairly large. It's great because you have that that week trial or you know that free tier that's much more useful. It's so interesting to me that those companies haven't been able to adapt at all to that either. You see Marin and Kenshoo losing some of their customer base to these niche solutions and people are more willing to put in three or four of these smaller solutions or these more niche solutions than paying exorbitant amount for all you know the big the big players. Jon: One of the best examples I can think of of these the big companies I'm being a little to adapt, and I've written about this and we'll put the links to the articles in the show notes, but I think Marin especially was very much a victim of their early success. So they crushed it for like five years, went public, were 500 million dollar market cap company. Half a billion dollars in value was their company. Now, 30 million dollars and that's up, double in the last two weeks after he announced a new deal with Google that the stock is reacting really well too. But if you look at these really big players Marin, technology company dealing with massive datasets, working with agencies looking like crunch a lot of these numbers and put in a lot of their own systems didn't offer an API until last year. Nicole: No because they weren't they weren't built to work with agencies. That's a crazy thing to me too. It's only in the last two or three years how they realized how big of a market the agencies like side is and you see all of a sudden okay, you know software for agency starts popping up in their navigation and it wasn't there before. Jon: But the crazy part is if you look at their... So as a public company they have to list a lot of information about their financials and who it's coming from whatever, 60 percent of their business is agencies. Nicole: No, it's not like these endless platforms you know like I said back in 2013 those platforms weren't even built for agencies and yet agencies kind of shoved themselves into that model and that's where I think you saw a lot of people like trying out for a year or two and then just throwing their hands up and being like, "I can't do this anymore because it's not adapted to me and my needs and I can't scale as much as I want to!" because like you said it was built for these enterprises. Jon: Yeah and that's really why I left my job to go try to build a company that serve that market because I felt like it's crazy to me that you have an industry like digital marketing exploding through that time period and really not many people building solutions for agencies. Nicole: Or at least consultants. Jon: Yeah, you know, they're managing multiple clients you know in-house teams don't really use our software because we picked that niche of agencies and that's an example of a point solution where we could actually get a foothold in the market. Because during the time over the last four or five years we can talk about some of the trends we've seen and some of the changes we've seen in PPC management software. But, for me one of the biggest changes is the ad networks giving a lot more tools to the agency's. Biggest example is adding in machine learning and AI and optimization and a lot of things to where Marin and Kenshoo their bread and butter was doing a lot of basic algorithmic type work. Nobody called it AI or ML back then, it was algotrithms. But they did a lot of the stuff that now Google is doing you know Google has a real vested interest in trying to limit a little bit of third party activity in some cases, but a lot of these ad networks built a lot of their own solutions to where advertisers used to go to a lot of these Kenshoo Marins to like have the magic algorithm that knew when to change their bids. For us what we've seen is that there's a big opportunity in the market not working on any of that optimization type stuff or any of the algorithms that the networks are doing, what agencies need solved his problems around bringing all this data into one spot and doing cool things with a click whether it comes from Bing or Google. That's where these companies are always going to be limited through Google what they can do for you is because they can't act on Bing data. Nicole: Yeah I'm going to say this, DoubleClick aside, I don't think Google will ever allow it or make it easier for you to manage Bing, Facebook, Instagram spend in any sort of platform that they offer I mean just look at what you get tracking campaigns in Google Analytics. AdWords versus all of the other platforms. It's sad. It's not in their best interest and they know that we all know that. So you have to turn to a platform. Jon: And that's why they have API, that's why they allow companies like us to pull their data now because they know that there's people out there that they don't have the bandwidth to build all the little niche solutions for nor do they want to. Nicole: They just acquire you at some point if they really want you. Jon: And I've seen a lot less of that too, honestly. Nicole: Yeah, it has slowed down. Jon: ClickEquation's like we said, they got bought, you know, that was a while ago. You'd be hard pressed to really find any PPC focused companies that have been acquired by an ad network. Now Acquisio has been acquired within the last year or so by Web.com and they were probably one of the bigger acquisitions in the space. WordStream, who I don't actually believe was a great solution for agencies when I look at it and think about it because they're not really set to handle agencies as well as they are in-house advertisers. Nicole: Well are you thinking of the product that we demoed a couple years back now because they did also come out with an agency product. I haven't looked at it, so I can't say anything. Jon: I know they have and from what I've seen and heard or whatever it's just, we haven't run into many using it. Nicole: And our favorite we've talked about this before, Excel. Nicole: I'm shaking my fist right now. Jon: Excel is definitely- Excel and Google Sheets are still... If we take a step back and you look at PPC management software that's still the biggest competitor. 100 percent. Jon: You know when we were raising money for Shape and when we were two years in and we had some traction and investors would ask me, "Okay, what are your competitors? Who are your competitors?" I wouldn't list Optimizer or Adstage, Marin, Kenshoo. I didn't view them as a competition. I still really don't view them as the competition. I think there are other companies in our space. But I think we're all in competition against Excel, the manual workflows. You know like that's what we're all in competition against. So we had Michael LaLonde, CEO Deschutes Brewery, on the podcast a while back and when he says he actually doesn't look at the other craft beers as his competition, Budweiser is his competition. You know like I think in this whole space like Excel and Google Sheets are our Budweiser that everybody's kind of fighting. And I think there is ways that the ad networks have made it tougher. You know if you had told me when we were starting this company in 2013 that I'd still really only be thinking about five, six, seven other companies in the space that I thought had a legit chance to serve agencies better than we did, I'd be shocked. I mean I would've thought we'd be going up against 15, 20, 25, 30 companies that looked like us. But the reality is that it's really really hard to build software when you have to sync with all these APIs and ad networks and agencies need you to sync with a lot of different platforms. Agencies need you to sync with a lot of different places because that's where the clients want their ads. Nicole: Well, and they need you to have the most advanced version of what Google Ads is offering or LinkedIn ads is offering. And what we've you know we've stated this before the APIs take a while to update on their end. And so it takes even longer for these platforms to update on theirs. And so you kind of see... I don't want to you know assume that it's completely purposeful on the networks. I think in some cases like you said they want to provide platforms with really niche offerings to be able to support these very specific use cases, but, you do see them starting to take a little bit longer to push out certain new features and it's constantly a battle because yeah we would love to put the most newest most awesome feature from LinkedIn ads in but we can't until we get the green light from our API. Jon: Here's the best decision we ever made early on it was to have our software not be focused at all on building new ads or launching new ads out of our software, because you'll look at any software across the board, it gets like harder and harder to launch state of the art ads out of their software because the ad networks are changing so quick. You can't have a development team as a third party software that operates as fast as Facebook, and Google, and Bing, and Twitter, and LinkedIn which all platforms we sync with you can't react to all the changes in their ad text to offer your customers a best of breed experience period. Nicole: When I started you know way back in the olden days there were one, two, three, four fields? No five fields, excuse me. There was a headline, two description lines, a display URL, and a URL and that was it. Now I looked at the form in actual UI, you know we're not even talking about Google AdWords Editor, which is a whole different beast, and I was blown away. I was like, it feels like 90 fields that I have to enter just to get to updated and expanded text ad. I wasn't blown away but I was just... to support that on a platform and like Jon said, it's getting increasingly harder. Jon: I mean if you're a company that needs to launch a lot of variation of ads really fast all the time, third party software is going to become harder and harder for you to find options, period. Adstage is a company that we talked about. You can no longer stage an ad in Adstage. They started as a company that was helping build great campaigns out of the gate. Their CEO, Sahil who I know great guy brilliant, I love what they've built at Adstage. They're doing great stuff, building great stuff but they've seen they can't be the ad editor. They're very well funded. They've got big teams of folks. They can't keep up with it. So, Upstart, the company X, Y, Z whatever it is they can't keep up with it either. And these are the reasons that are still only like 6, 7, 8, 9 companies really that can serve a PPC agency. I think there's tens of companies lots of companies that can help you in-house, but if you're trying to bring data together from a lot of different networks, there's still only a small amount of people really doing it. Nicole: So until this point we've really been talking about PPC software PPC management software from a builder standpoint right because that's our most recent kind of understanding of this. But we've also both been there from a purchasing standpoint. And so I'm going to kind of shift the conversation here a little bit or 'Shape the Conversation' elsewhere. Yeah, my puns. Jon: And we may or may not of, in the last year or so, like you know checked out a lot of the other tools you know we hear about them from prospects and customers. I think it's our duty to pay attention what other people are building out there too. Nicole: Well, you know, we wouldn't be doing our jobs if we weren't. But from a consumer standpoint, right, we've got a couple of things that you should probably think about if you're in this area and the first one is like does PPC management software even makes sense for you. And you know Jon and I said, coming from like the agency experience, what we found was that at the time we started with- Well when I joined the team there were four, right, and it started as one lone guy and I feel really bad for him at this time, but, our company had goals to scale. We had four people who were managing, I don't even know... how many did we have at that time like 30, 40 clients apiece? Maybe less. But you know we were finding that we were starting to have problems in addressing all the things that we needed to for these clients. We couldn't do all the budgeting, we couldn't do all the reporting, we had some internal tools but it wasn't enough. Jon: Are you entering a lot of manual information into fields? Do you feel like you can't go on vacation for three days? You know these are all signs that we felt as a team when we really had a look around and it's part of the story that's the start of the story that led us to here is us seeing that we looked at these solutions and they're not perfect for what we need. Let's go build it. Maybe there's other teams like us and if you're feeling those pains are you overspending budgets. Is basic PPC slipping by your team it's maybe time to bring in some help. Nicole: Yeah. And you just slipped back in into building it again. The other thing is if you don't have the internal resources to build something build those tools and a lot of agencies don't then yeah it's time to look outside. Jon: All few of our customers are people that vetted us, looked at it, said, "Alright, that's cool." Pretty much saw everything we can do and then went off and tried to build it with their one in-house developer, came back ten months later and said, "Okay we're ready to buy." Nicole: So you really really need to sit down for I'd say a couple weeks evaluate your current stack, evaluate the support that you're going to have in your agency. I will say this right now, if you don't have a supportive CEO or CFO or whatever though you know that position is depending on how big your company is, It's not going to go through. You have to really be confident in pitching the problems in the solutions and you're going to have to vet all the software and some of them like we said offer free trials some of them don't. So you know those are all things to think about. Like does that even make sense? Are you willing to go into this and trial all these things for months on end because it's not going to be an immediate solution. There are very few management software solutions in our industry right now which are turn on and go for it. Even us, like it takes five minutes to setup Shape but to get the most value it takes a couple of weeks of really getting in and learning and using our software. So, alright. You figured out it makes sense for you then how do you make sure it's the best software, right? So are you going to go all in one, are you going to niche products, are you going to have you know one platform versus many I just said the exact same thing right there. Ignore that. But you know are all of your ad platforms integratable with the solution that you select. Jon: Yeah, that's number one. Nicole: Or do you have to go with a bunch different ones? How are you going to kind of bundled it up in a nice little package that's actually going to solve your needs? I have some tips on this just from my personal experience. Obviously some of them, like I said already, demo everything they can, get all the information everything you can out of the sales guys, make sure you have a robust list of questions that you get answered before you move anywhere with the sales team because you know they will purposely... I hate to say this. I don't want to speak ill of sales teams but, right, we all know the sales team like the sales guys job is to get you to sign that contract and so they're going to gloss over some things where it's going to be really important to you but they're going to be like, "oh yeah we have that." and then come to find they dont. Jon: I'd have a say that the bigger the company the more glossing you'll see. Jon: I sit in the same room as the sales team here. So I know I've heard them say, "Maybe we're not the best fit." or you know, "Go check out Optimizer." I know they've sent people other places. Nicole: That's huge to me that they can actually say that. Some other things to think about like how much are they updating the roadmap. How much are they like a lot of companies will offer a public facing roadmap in some form. The best thing that I can tell you figure out if a company is right for you... Okay one of the best things beyond everything that I've said is- and I'm sorry but I'm going to throw this out there, look at the actual reviews that they're getting from customers but then go to their Glassdoor and see what their employees actually say about the company, where they're headed, how much they like the CEO, where their product is going because I will guarantee you you get the most candid feedback from employees there. Now you're going to have to wade through some of those fake reviews and you're going to have to also take into account that some people are really pissed because they got fired so they're just going to rage on it. But overall right now they have more than 50 reviews or more than 30 reviews if you get a good understanding. Jon: You get some really good stuff from Capterra G2 crowd. Nicole: I just I even look at it our competitors and kind of see what they're saying about it and like how they're having product issues just to understand like you know because sometimes you feel like you're building the product, and again going back to builder mode. But you know sometimes you feel like I'm just banging my head against a wall trying to build the best product and other teams like us don't have problems, and then you go look at your competitors are like know they have some product issues too. We're all working to build a better product. Jon: A great resource that Hennepin Marketing put together that we'll link to, if you just Google like Hannepin Marketing best platforms for digital marketing I think it will pop up the best, but they've got great little questionnaire too. They've reached out to a lot of PPC softwares like us and ask them, "Hey, in your own words, who's your preferred buyer? What's your onboarding like?" They've got a great little profile on a lot of the PPC management software that we talked about and you can look out from there. That's a great resource I think. Lots of other places have written about it, but again the world is pretty small. I mean I think if you're a PPC agency you're focused on PPC you really only have 6, 7, 8, 9, 10 tools I really believe that can solve your problems. And the other key point is that, it's not an all or nothing especially if you're not going at the super high priced tier of like a Marin Kenshoo somebody in that realm. If you're looking like a Shape, Adalysis, Optimizer somewhere down there we have a bunch of customers that combo us with other platforms in that space so like I know I could name 10 of our customers that use us and Optimizer. Nicole: Or us and Super Metrics. Jon: Yeah, or us and you know insert reporting software here. In Ninja Cat, Swydo a lot of people kind of like combine things into their stack. I think that's a lot of the future marketing to is like putting together these point solutions into a complete solution that gives you the freedom that you need. So we will have a page coming up on our site too that leaves some more resources to help people. We'll make sure his podcast is up there also. But I think if we leave the marketers the analysts something out there to think about from this as they go look at PPC management software, I think it's a little... it's not as overwhelming as you might think. There's really only a handful of us still out there really focused on agency level solutions that are willing to go and do two way integrations with multiple ad networks to serve agencies. It's amazing but there is really still not that many out there despite what you might see on Scott Brinker's Martek 5000 you know super graphic or whatever it is. Jon: So Nicole any other advice or things you can leave people looking out there to make decisions around PPC management software? Nicole: I mean yeah. Like I said, identified the need, figure out which platform is for you, before you sign that contract make sure you have buy in from your team because as a manager, right, It's going to be one thing if you're trying to pitch a solution to your team who's not even onboard but realize you're gonna have to pitch to your team, you're gonna have to pitch it to your execs, you're gonna have to potentially pitch it to your technical team if there's a lot of technical integration that has to happen. So make sure you're really got that buy in there it's going to help you immensely. Jon: For the record no technical integration needed with Shape. That was one of the other things I looked at when we were looking at Marin and Kenshoo back in the day 2011 or 12. It was like a two month process just to get our campaigns tagged correctly. That was one of the big things I saw too when I was like, "Man if somebody could come up with the software I didn't have to spend two months tagging. I just tried to see if it worked." And I'm not gonna lie, a lot of the early pitch for Shape was pretty much going to a PPCer saying, "Hey look, we're somebody building PPC software, isn't it worth checking out? There's not many of us like that." That was the pitch and it worked!... To an extent. Nicole: OK. Last piece of advice for me. Make sure you know your onboarding and pricing expectations how that's going to change how long your contract is because once you get locked into a contract you are locked into a contract and it's going to be a lot of issues for you if it's not the right solution. So that's kind of what I will leave you with. Jon anything on your end that you want to tell people? Jon: No that's good. Ibgot everything out. We've got some left in the tank here. We might record another episode on this topic where we go through a little bit more of the ins and outs of each tool and how we see them compare to us and what they do well. But until then I think check out all the show notes, that we've got we'll put the links we mentioned here, some of the articles that we've written or other people are in on the topic, we'll put in that you can check our blog.shape.io/podcast and until then. Nicole: Go have fun testing software, PPC management software. Jon: I like it. We'll see you next time. Hanapin is one of the most trusted sources in PPC. They organize Hero Conf and run the PPC Hero blog. They have their own curated list of popular digital marketing software. What verticals does your platform work best for? What’s the average cost for a client to use your platform? Does your platform primarily convert last click or is it a strong contributor via attribution? Huge 👏 to the Hanapin team for putting this resource together for digital marketers. Hearing what customers past and present have said about the companies profiled can help to give you a better idea of what the customer service may be like and what others found useful about each company's solutions. The two review sites with the most traction for PPC management software serving agency customers are Capterra and G2 Crowd. Capterra reviewers are encouraged to leave details about the pros, cons and overall experience of each software solution. 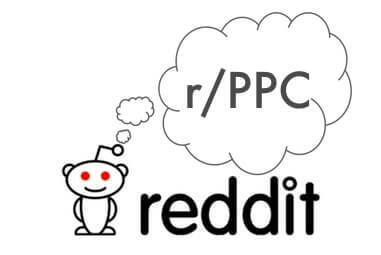 The r/PPC subreddit is a great place to find conversation about all types of PPC topics. The community has group of moderators that do a great job of filtering out any obvious spam or unrelated content. The community is a diverse group of experienced analysts and people just getting started on the PPC journey. But, be warned if you've never been on reddit before. The Reddit community is not afraid to be opinionated. At least every few months, some version of 'what PPC software do you use?' is posted to r/PPC. There is a lot of great stuff if you poke around past conversations about software the group uses. Conversations on r/PPC about PPC Software from the past year. Most recent conversations on r/PPC about PPC Software. Have opinions of your own? Let's here 'em!